As Janne Teller told and retold her story to various Yucatecan reporters, I kept thinking how cool she was. She talked about how modern slavery and other forms of abuse were derived from the average person´s misuse of the big or little power she or he may have, and how stories can be made to move forward from such everyday horrors. In Mérida, students and the elderly are powerless before the omnipotent bus driver who decides not to stop for them—or for me, in many instances—so that she or he can rush through the yellow light. Hence, I could relate to her message. I had been asked to serve as interpreter so that the local media could interview her. Her book of short stories Todo (Seix Barral, 2014)—along with a pile of other brand new books from other authors—had been given to me the night before as a symbolic payment for my task, done with great pleasure for the friend who requested this of me. Exhausted as I was after the first day at this year´s Festival Internacional de la Lectura en Yucatán (FILEY), in which I was both a speaker and an exhibitor, I devoured the first two (and a half) stories before I was blessed with the gift of a good half-night´s sleep. Days after the book fair´s craze, as I finished Todo, I was happy to recommend it to friends. The short stories contained in Todo are mostly narrated in the voices of various young, troubled characters. They remind me of García Márquez´ concept of solitude as a chronic incapacity for loving. 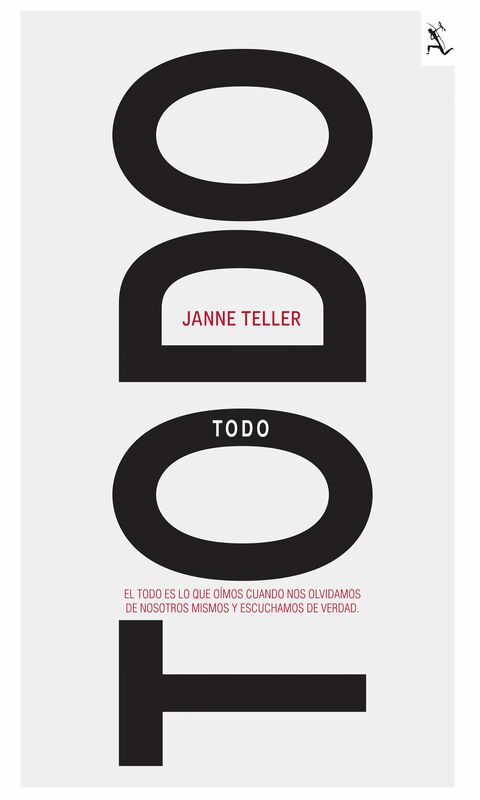 Teller´s message is one of empathy within the todo found “al otro lado de la soledad” (p. 135). She aims to promote awareness and communication—a dangerous thing in the eyes of totalitarian wannabes and factual dictators alike. In her stories, a given opinion, situation, or political stand, is set in a certain context, only to reappear, later in the story, in a different context. This works beautifully as both a literary device and as a means of inviting the reader to simply reflect on human decisions and the motivations behind them. The contrast between the glammed-up photo of Ms. Teller that tops her bio on the book and the real woman who presents more of a scholarly look (as someone who cares more about books than about fashion trends), just emphasized her previously-stated “coolness.” Jetlagged as she had to be, she would kindly ask to be left alone between interviews, which I respected, somehow pitying her for the burden of fame upon her shoulders. The presentation of Todo, the next day, was a hit, attended by three or four hundred people, if my calculations are correct. As I saw her signing her books for a long, long line of readers, I couldn´t help but pity her again—not, of course, without a little envy. A good kind of envy, if there is one. I failed to read the notes in Diario de Yucatán, La Jornada, and other media, but was still moved by her reflections on the role that a ruthless Capitalism has played on multiplying misery around the world, and about the power that everyone holds to affect one´s own environment, for the better or for the worse. Her belief that Literature can open the minds of many in this regard is what motivated her to write, she said. I also failed to ask her how her name is pronounced, but that´s beside the point. Before she became a writer, Janne Teller worked for the United Nations in Mozambique, Tanzania, Bangladesh, the Balkans, and other places where atrocities have been committed in recent years—as in my poor Mexico where she has only visited. Her depiction of some countries in her stories—Mexico included—is not exactly that which the Ministry of Tourism of those countries would chose to portray, but there is nada they can do about it other than to ban her books, as some have. What better honor can one have than a tyrant´s ban? Little do they know, this has made her books all the more popular. New residents of any place are often victims of bullying by locals who find in them the perfect scapegoat, as it´s easy to target one´s fears, frustrations, and insecurities on those who speak “funny” or look foreign. Mérida has become an attractive destination for foreign and domestic immigrants. People from Cuba, Belize, and Guatemala and also from rural and urban Mexico have chosen to reside here. Yucatecans´ traditional, self-proclaimed hospitality is being put to the test. In Janne Teller´s stories, multiculturalism is seen by different characters as either a burden or a gift to a society. These characters may not find it easy to communicate with each other, but they are able to with the reader, who cannot help but empathize with the latter. 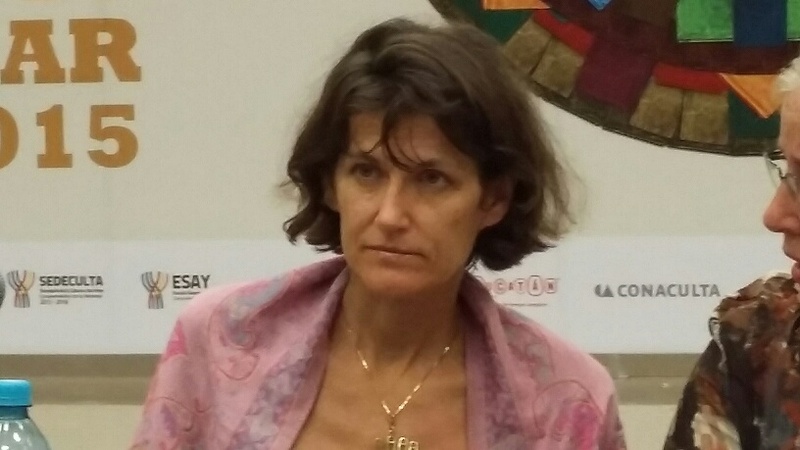 Fer de la Cruz, MA is a Yucatecan poet born in Monterrey, México, in 1971. He was a member of the founding faculty at the School of Creative Writing of the State Center of Fine Arts, in Mérida. He is the coordinator of the historic Mérida branch of Centro de Idiomas del Sureste. As an independent editor, writer, and cultural consultant ad honorem, he participated in cultural festivals, conferences and book fairs in France, Cuba, and the United States, as well as in various states of México. His poetic works appeared in La cuenta regresiva: Radiografía urbana mesozoica (chapbook, satire, El Drenaje, 2012), Aliteletras. De la A a la que quieras (book for children, Dante, 2011), Redentora la voz (book, Ayuntamiento de Mérida, 2010), and Seven Songs of Silent, Singing Fireflies (chapbook, JK Publishing, 2008), as well as in literary magazines and anthologies. As a translator of poetry, he has published Aquí/Here, by Jonathan Harringnton (JK Publishing, 2011) and Candidates for Sainthood and Other Sinners/Aprendices de santo y otros pecadores, by Don Cellini (Mayappla Press, 2013). He has received 2 national, 2 regional, and 1 state-wide poetry awards. His main passions are poetry (which he often finds in theatre, music, film…), language teaching made fun, and the constant discovery of the flavors, shapes, and depths of human life. His full name is Luis Fernando de la Cruz Herrera, but don´t tell anyone.